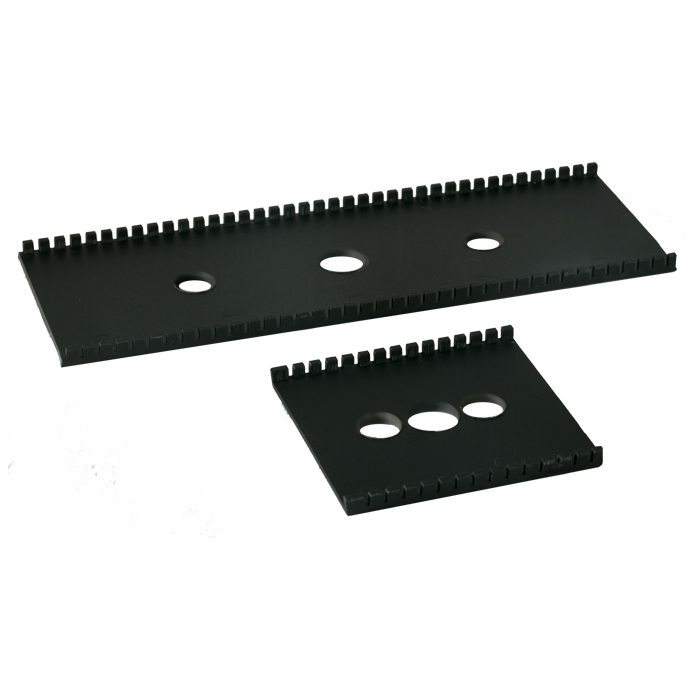 The CMP cable cleat isolation / separation pad is designed to prevent corrosion between two dissimilar metals, by ensuring that the cable cleat avoids direct contact with the supporting structure. The pad is manufactured from CMP’s standard Low Smoke & Fume (LSF) material, which is classified as Low Smoke & Fume (LSF), Zero Halogen (LS0H) and Phosphorus free, with predefined knock-out positions. These knock-out positions allow the isolation pad to be used with any CMP Products cable cleat. 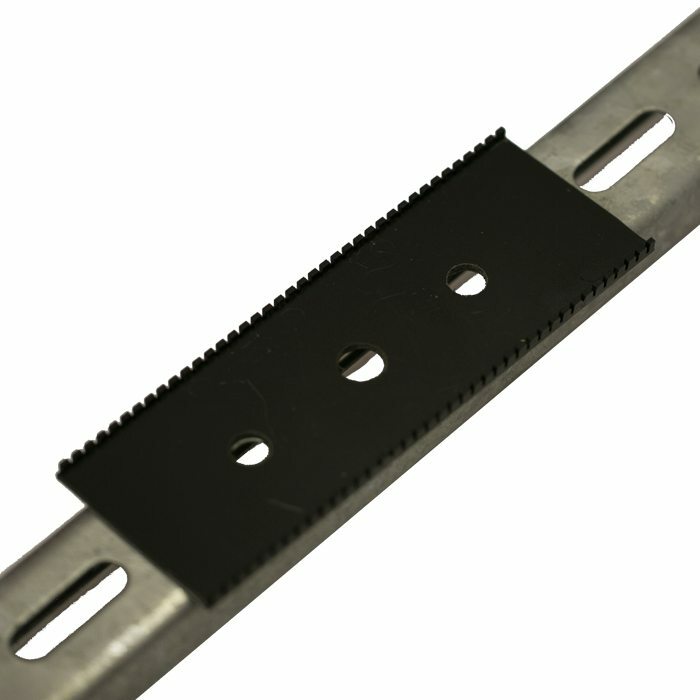 Once the knock-outs have simply been punched through to suit the bolt fixing centres of the cable cleat the isolation pad is then cut to suit the cable cleat base size. Once installed the isolation pad will help to prevent galvanic corrosion should the material of the cable management system be different from that of the cable cleat. Select the desired cleat from the dropdown menu ‘Selected cable cleat’. Under the column ‘Part Ref’ find the cable cleat part number for the intended application. Within the same row as the cable cleat part number find the column with a ‘ü’. This indicates the correct Isolation / Separation Pad for that cable cleat. The Isolation / Separation Pad part number will be the header for that column, i.e. IP01, IP02, etc.